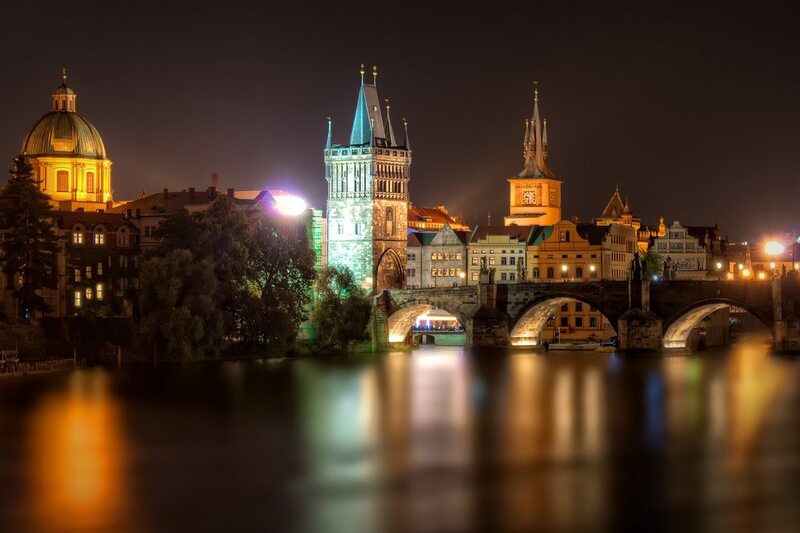 Prague (or Praha), the capital of Czech Republic, is an outstanding city! If it is still not in your bucket list by now, well, it should be there! 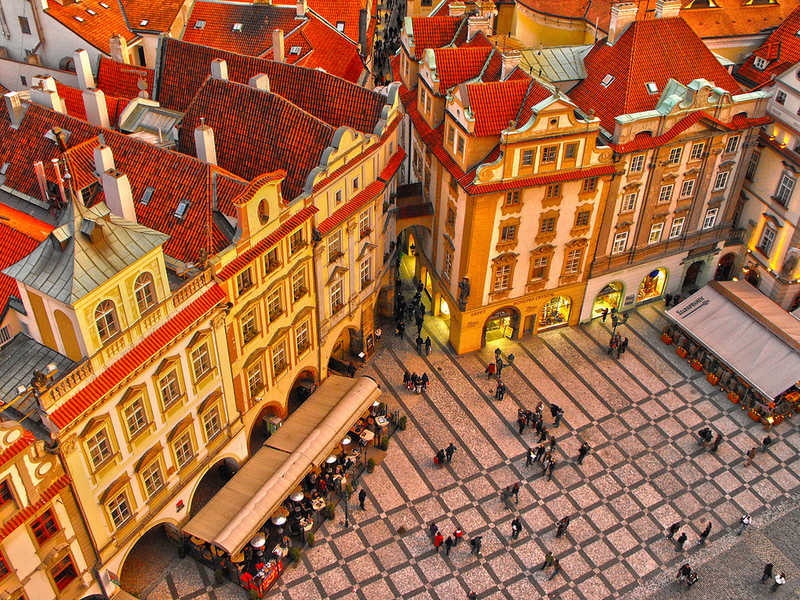 Prague’s Old Town (or Staré Město pražské) is the heart of the city that remained almost untouched since the 12th century. The most important sights are the Jan Hus statue in the middle of the square, the Old Town Hall Tower and the Tyn Church. The square is full of musicians and vendors and it has its incredible atmosphere! 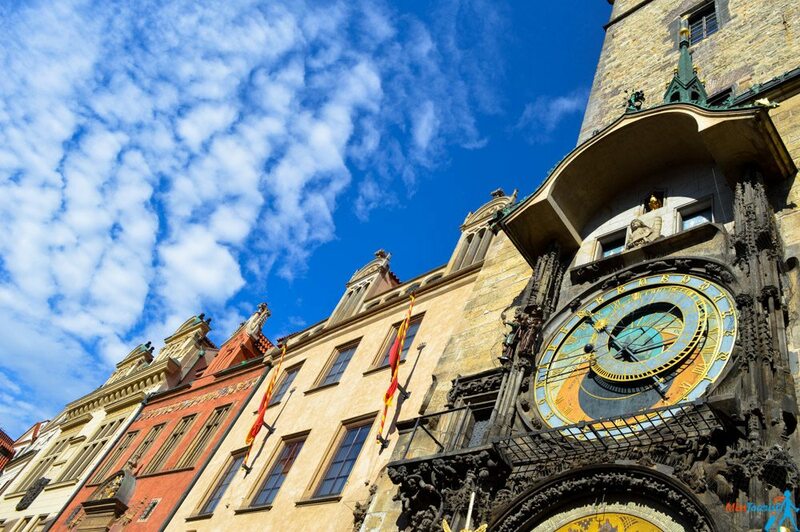 This one-of-its-kind medieval astronomical clock was one of the main reasons I wanted to visit Prague! Every hour you can enjoy mechanical performance. The clock’s sophisticated construction also has 12 medallions with the signs of the zodiacs. During the Middle Ages it was considered one of the wonders of the world, but it still amazes people nowadays! You will see many things named in honor of Charles IV (Karl) in Prague, this bridge being the most important of them. Stroll across the bridge to encounter countless vendors and musicians. As it is very crowded during the day, Charles bridge is best explored at dawn. Do you want to visit one of the largest castle in the world? Consider it done in Prague Castle! This huge complex includes royal residences, gardens, cathedrals (still operating, you can even get married there!). 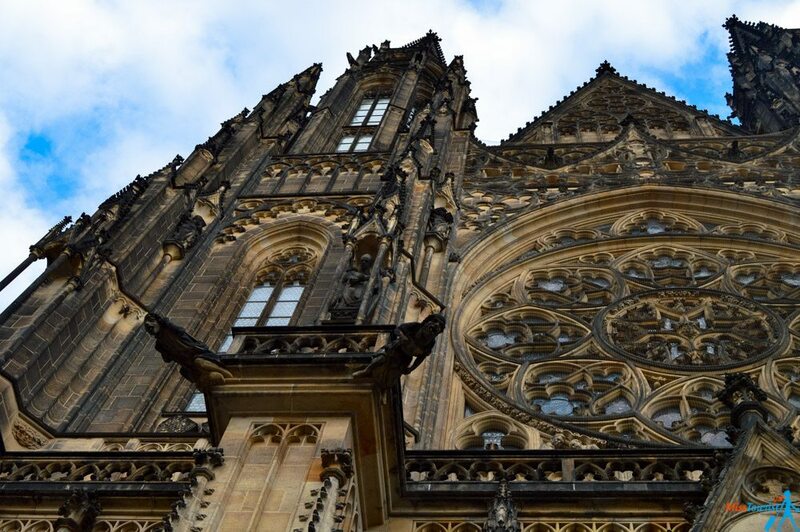 Don’t forget to go inside the Vitus cathedral to admire its stained glass windows. When going up the hill to the castle (near Vitus Cathedral) don’t forget to look around, as you will find a viewpoint. You will see a fabulous view to the whole city! Oh, and near the Vitus cathedral, there is this statue on the hill, where you should touch the shiny part of the monument for a good luck. Update: I have just had a talk with a couple of Czech local people and they found this tourist “invention” of sightouching unpolite and out of place. Please consider that when you think if you should be in the line to take that picture. Czech Republic was under communist regime from 1948 to 1989. 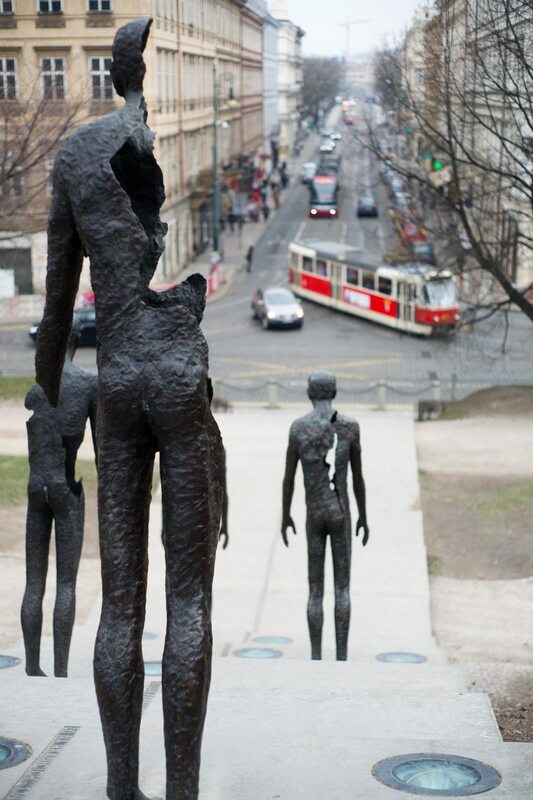 The memorial made out of 7 bronze figures descending the stairs is dedicated to “not only those victims, who were jailed or executed, but also those whose lives were ruined by totalitarian despotism”. I ate in “U fleku” restaurant. It was one of the first on Tripadvisor and I have also heard about it from my friends, so I decided to give it a try. The place quite touristic, but still fun, a lot of traditional music and local cuisine. 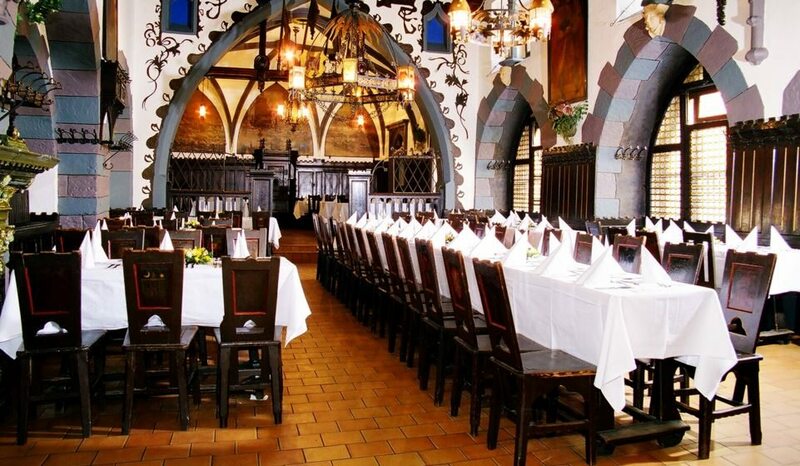 Also, Kolkovna is a chain of restaurants where you will find traditional food and be sure it is not a tourist trap, locals eat there too! 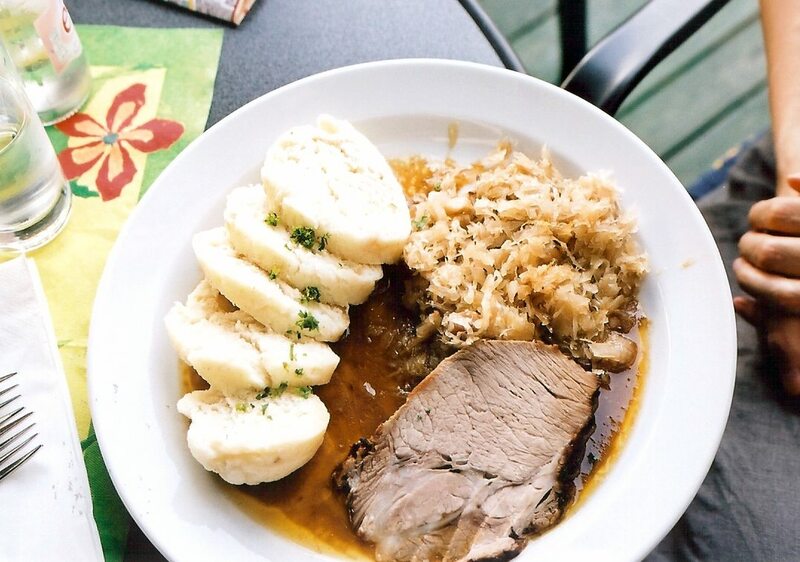 Knedliky (or knodel) is something that you have to try while in Czech Republic! They are some kind of spongy steamed bread dumplings. You either hate them either love them. Anyway, to get your own opinion, you have to try it! In Berlin they have a Berlin wall, here they the John Lennon’s one. Everyone can draw graffiti on it, there is always someone playing music and a great atmosphere around it! The Nationale-Nederlanden building has a nickname, people simply call it the Dancing house. Really, just look at it – isn’t it a man holding a woman in a dance, definitely not just one more boring office building! 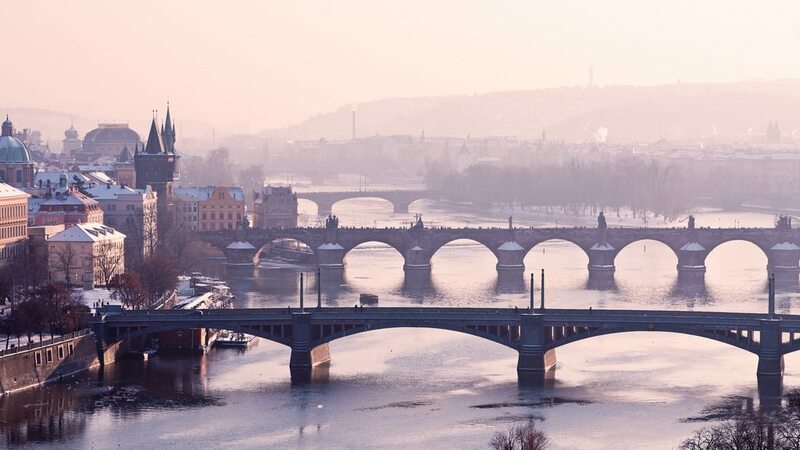 Take a boat ride under the Charles Bridge or run along the water of Vitava river. All that can be very much fun if the weather is nice. Do it, you will not forget the experience! The most famous library in Prague is actually the Klementinum library, it was even descried by BoredPanda as the world’s most beautiful library. But it is very touristic and you have to book a tour in advance. There is one more library that is the same beautiful but less known, I recommend visiting Strahov Monastery! I did not notice any difference in beauty, but it is definitely less crowded there. I gave them this name myself, don’t look it up in the Internet, I am not sure they have a specific name. 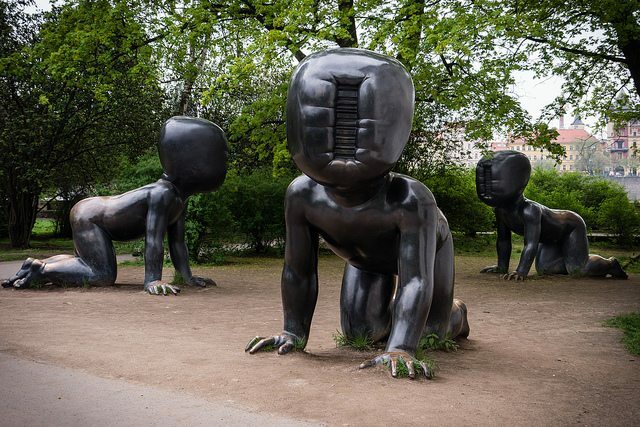 You can find these babies at the Kampa museum and you are welcome to think about your own meaning of this piece of contemporary art. Apparently Cerny really likes babies theme in his works because you will find some huge kids crawling up the Zizkov Television Tower. Wait, what? I felt like I am back in Paris when I saw these art-noveaux style buildings. 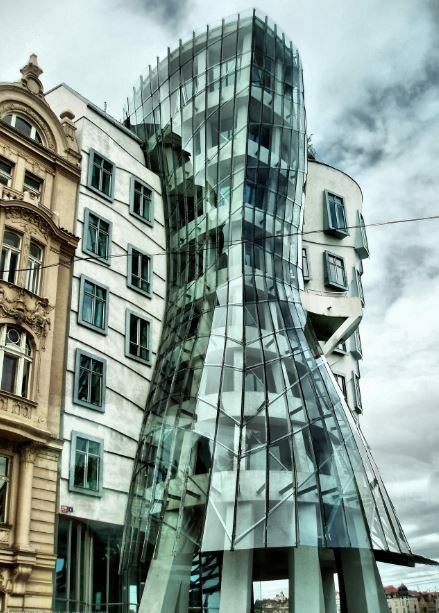 Just walk around in the area near Prague University and you will see many buildings like that! 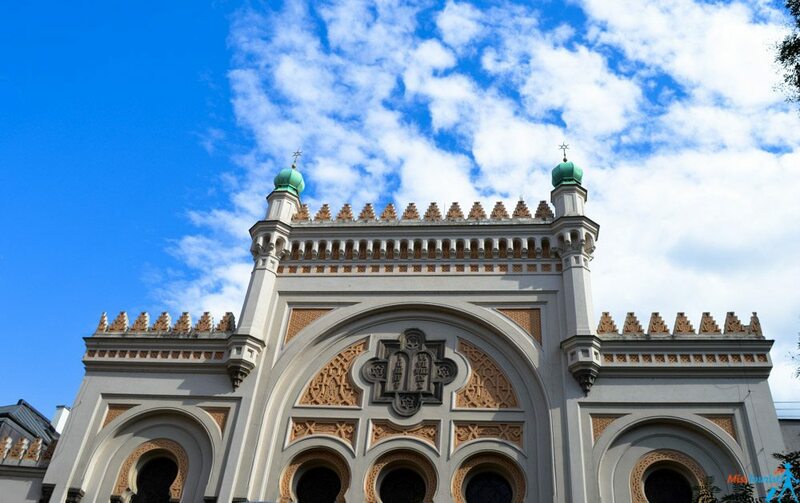 Prague’s Jewish Quarter, formerly a walled ghetto, is one of the most complete collections of Jewish historical monuments in Europe today. If you are interested in the holocaust subject, there is a great movie called Niki’s family, that tells the nearly forgotten story of Nicholas Winton, an Englishman who organized the rescue of 669 Czech and Slovak children just before the outbreak of World War II. Luxury (200€ and up) – Cosmopolitan Hotel Prague is an amazing 5-star luxury hotel located right in the heart of Prague. This boutique hotel awaits you with free Wi-Fi, gorgeous rooms and complimentary access to gym and sauna. Another great option for luxury travelers is Myo Hotel Wenceslas – a beautiful 4-star hotel located very close to the city center. I am sure you will feel like a princess/prince during your stay there! Middle (100€ – 200€) – Residence U Černého Orla is a very stylish and modern accommodation for middle-priced budgets. The breakfast is delicious, the rooms are very nice and well decorated and it has an overall great value for money. Alveo Suites is my second recommendation if you are looking for a place where you can have a nice and comfortable stay in Prague! You will appreciate the simple and cozy rooms and all the facilities. Budget (between 30€ – 100€) – Little Quarter Hostel is one of the best budget accommodations in Prague! The hostel is set in a historical building, the rooms are cozy and clean and the sunny terrace is perfect for some relaxation! Travel&Joy backpackers is another great choice thanks to the friendly staff, cozy rooms and great amenities! There is no EUR in Czech Republic, the currency there are “koruna”. Be careful when changing money, I have seen all kinds of rates, including some which were extortionate! First of all, check if they charge a commission, and, secondly, if the rate is good. Before giving them your money, ask them how much you will receive. I can recommend you a good exchange office where I changed my money. It is very close to the Charles bridge, it has a good rate and doesn’t charge any commission. The address is Kaprova Street 14/13. Even though it was a very short visit (I went there as part of my 30 days traveling in Europe by train with Eurail), those 2 days were enough to understand that I will come back for a longer time period as soon as I have a chance! Thanks a lot for reading! 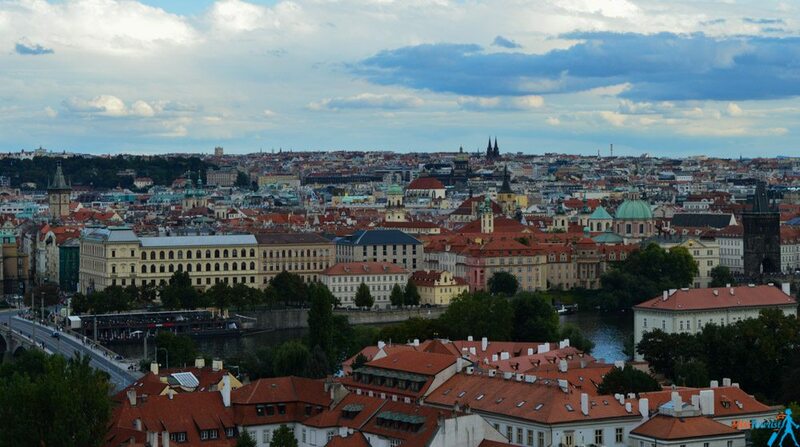 I hope you liked my photo essay of Prague! What do you think about Prague? 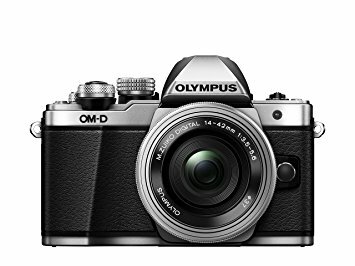 What did you like the most if you have already visited the city? My Italian University 6 awesome things to do in Nantes, France Awesome Disneyland rides! Babies: They do not have any proper name. It is very hard to even learn what they supposed to mean. People are just guessing. 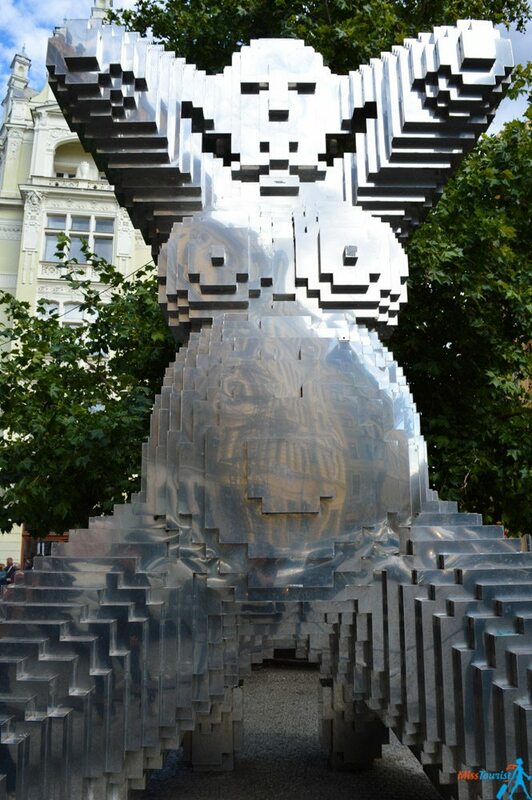 They are work of David Černý as many other “crazy” things in Prague. 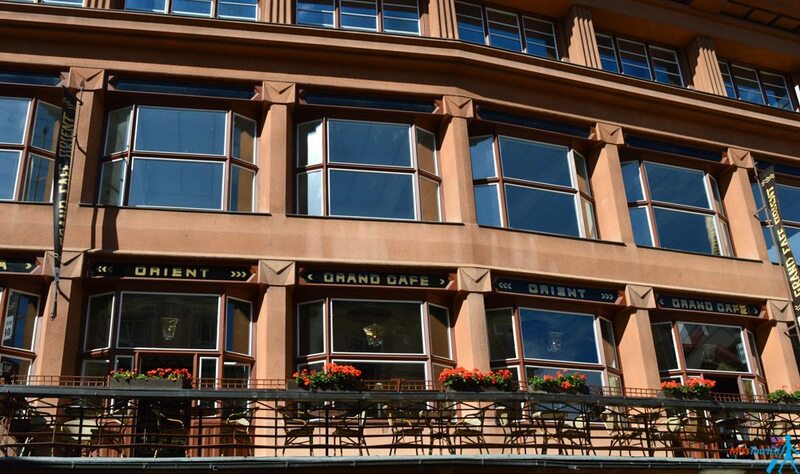 Grant Cafe Orient (on the picture with the comment about art-nouveau) is actually built in cubism style –style you will not see anywhere else than Prague! thanks a lot for the addition, I really appreciate it! It will be very useful for my readers! Great notice on that babies, mostly they are freaking the hell out when you see them in the dark or a foggy weather. 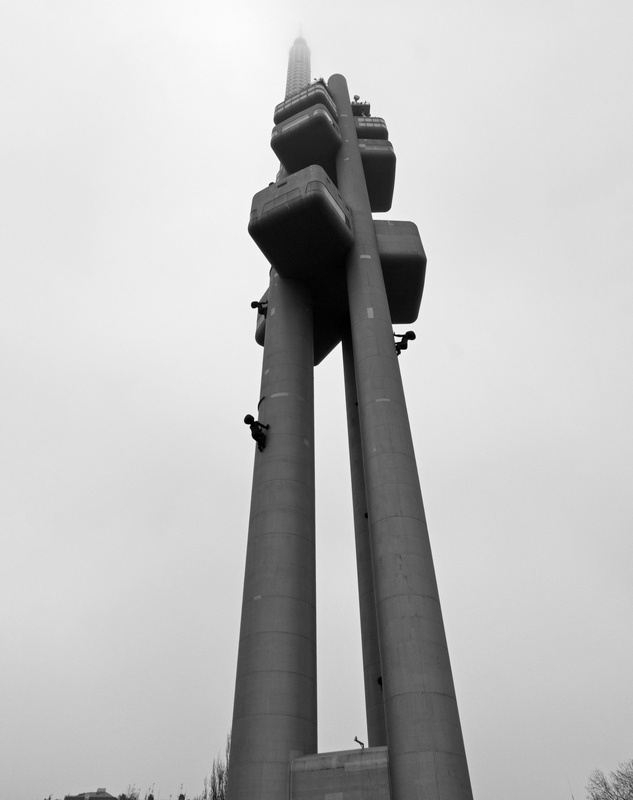 Aren’t the same sculptures crawling the TV tower? Dear Yulia, if you were interested to learn more about Prague, it would be a pleasure for us to be your guide! Hi Beth, thanks for the comment! Yes, if you can obtain that kind of account, it is definitely the best solution! Great round up. I love the Czech Republic, I’ve been there a couple times! Hello Yulia, Any recommended hotels which are walking distance to the tourist attractions. This hotel has amazing reviews and is super centrally located, check it out! You can also find many other options according to your dates/budget on this website. Interesting blog! thanks for sharing your an informative blog. These information really helpful to those who are planning to visit Prague! According to legend/theory, the foundation stone of Charles bridge was laid at at 5.31 am 9th July 1357, because this sequence of numbers gives will result in a number pyramid 1-3-5-7-9-7-5-3-1, that was supposed to bring good luck, it probably worked as the bridge is the oldest link between the two banks of the Vltava river . Wonderful write-up and the pics are beautiful. Absolutely loved Prague – what a beautiful city! Thank you so much, much useful info, I really appreciate it! hi there, im planing to travel to praque. may i know which is the best time to travel? kindly mail me..
Prague is great to visit any time of the year! This is the most informative blog i have ever read about Czech Republic, and you have written it in a very impressive and practical manner and the detailing is great, surely it will inspire people to visit this place. The best thing was that you even gave the Address of exchange office which is very helpful for travelers. 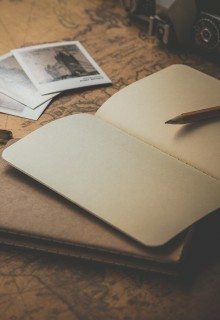 Thank you for this blog, was a really inspiring read! I love these pictures, they tell such a wonderful story of Prague as a city and all the diversity it has to offer. I visited last year and I miss the dumplings and the beer! I’m glad to know I wasn’t the only person who noticed the barcode babies and wondered what they were! Thank you for such a nice post. We recently visited Prague and I must say Prague zoo is also a really nice place to visit. It is world’s fifth best zoo. Great article, I really liked it! I was travelling around Europe and was in Prague 2 times, it is one of amazing cities in which i want to go more and more. However, did you know about free city tours in Prague? In my opinion, that’s the best chance to explore the city without a big budget and discover sights for a free with a local guide. 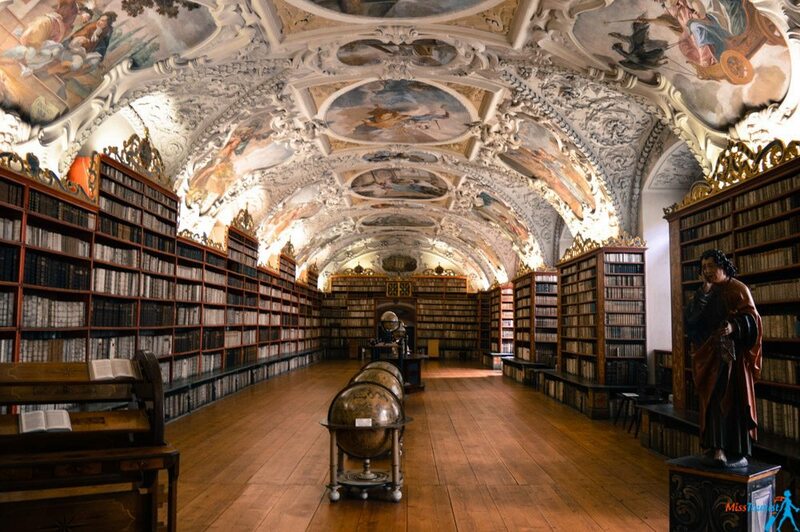 Anyway, I really liked your post, your photo of STRAHOV MONASTERY LIBRARY is awesome! P.S. Hope, you have a nice day!